Check out this medieval corner of the city before modernity overwhelms it. In times past, Krutitskoe podvorye was a lively and busy street. Churches were full of worshippers, carts bustled about and the metropolitan blessed people gathered in the square from the windows of the Krutitsky palace. He would give alms to the poor, while undoubtedly enjoying his view of the city. Krutitskoe podvorye experienced turbulence with the arrival of Polish forces during the Time of Troubles in 1612 and the Moscow fire during the war with Napoleon in 1812. Despite medieval turmoil and complete neglect during the Soviet era, Krutitskoe podvorye has preserved 80 percent of its architectural buildings and is currently serving as the metochion (an ecclesiastical embassy church) of the Moscow Patriarch. Two churches on the territory of Krutitskoe podvorye currently operate: The Temple of the Resurrection and the Dormition of the Blessed Virgin Mary of the Assumption Cathedral. Public masses are held there and entry is open to tourists. Krutitskoe podvorye was restored from 1950-1984 under the direction of the architect Pyotr Baranovsky, who invested half of his life to this cause. Baranovsky celebrated his 75th, 80th and 85th birthdays here. Krutitskoe podvorye is surrounded by the Moscow International House of Music, the Holiday Inn Hotel and other large and encroaching structures. 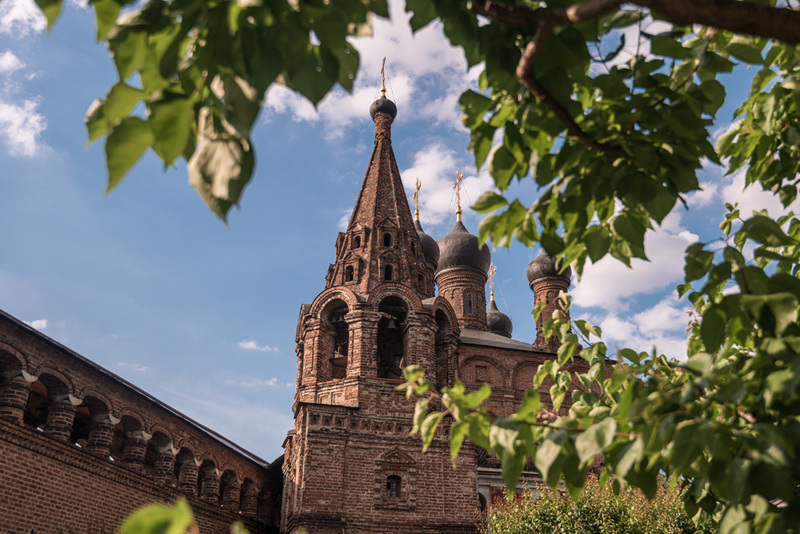 So, take some time to walk through this medieval corner of Moscow before it is overwhelmed by modern buildings or the mega-mansions of Russian billionaires.